Louise Holder, Resort Manager. Born in Wales, UK. Moved to Bonaire in 2012, worked at Coral Paradise Resort since 2013. She likes to dive, snorkel and read. She handles the reservations and bookings and helps our guests make the most of their vacations. Caroline Gamache, Owner. Born in Québec, Canada. Significant other of Vincent, she loves to dive, snorkle and walk. She is the administrative face of the resort. Vincent Meunier, Owner. Born in Québec, Canada. 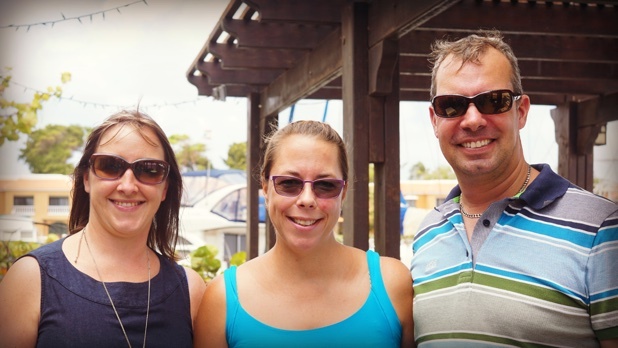 Moved to Bonaire in 2014, bought the Resort on January 1st 2015. Likes to dive, cycling and ski ? He is the handy man of the Resort.